Porta Antillas the East Region of Puerto Rico offers the ultimate Caribbean experience; a lush tropical rainforest, palm-shaded beaches, coral reefs, small islands and cays surrounded by crystal clear waters, championship golf, exquisite resorts, ocean sailing and fishing, great food, the list goes on and on. One of the largest cities in the region is Caguas, a municipality that offers many distinct and diversified attractions mainly focused on entertainment, nature and culture. Examples include a botanical garden, hotels and golf. Caguas is known as the "Criollo" Heart of Puerto Rico and as the Largest Entertainment Center in Puerto Rico. Also in this region is Humacao home to Palmas del Mar, a wonderful golf, beach, marina and resort community.The Wyndham Garden at Palmas del Mar offers great accommodations if you plan to stay in the area. But by far the most famous attraction in the region is El Yunque, the only subtropical rainforest in the United States Forest Service and a finalist in the world's "New 7 Wonders of Nature" campaign. Continue reading for more information on El Yunque. Just 30 minutes south of the San Juan Metro Area, Caguas is located at the crossroads of main highways connecting north, south, central and east Puerto Rico. Caguas is a vibrant city with a small town feel. Known as the "Criollo Heart of Puerto Rico", it has a distinguished history of contributions to what Criollo is all about; Music, Artisan Work, Literature, Religion and Food. 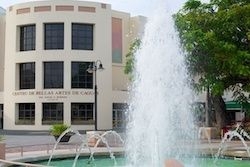 Caguas has something to offer for every type of visitor, including many museums, art galleries, one of the largest performing arts center in the Caribbean, sports venues, a bowling alley, a golf course, a hotel with the largest casino in Puerto Rico, exciting nightlife, tons of shopping and many other types of entertainment. One of the best things to do is to follow the "Ruta del Corazón Criollo" a clearly marked planned urban trail starting at the Tourism Office that takes you to 12 sites highlighting and depicting the Puerto Rican identity (the "Criollo"). Those visitors looking for nature cannot miss a visit to the Botanical and Cultural Garden William Miranda Marín, those interested in adventure and an adrenaline rush should check out the San Salvador Rain Forest Adventure, very highly recommended. Heading east from Isla Verde, Carolina on Route 187, you first enter the area of Piñones, six miles of beach mangrove forest and coconut palms. The area has bike rentals and trails, ocean boardwalk and two popular surfing beaches, Aviones and Chatarra. 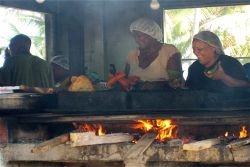 Besides the beaches, the most popular activity for visitors to Piñones is eating, several restaurants and open-air kiosks serving local fried delicacies such as 'alcapurrias' green plantain fritters filled with crab, chicken or beef and 'bacalaitos' codfish fritters line the winding road. one of the best is "El Boricua" located across from Aviones Beach. Piñones can get very crowded on the weekends with locals and tourist alike coming to enjoy the sun, ocean breezes and food. On weekend nights the area comes alive with couples dancing to the rhythms of Salsa music. Continuing along Route 187, crossing the 'Río Grande de Loiza' you enter the town of Loiza. Loiza is known as 'La Capital de la Tradición' - 'The Capital of Traditions' - for its 'bomba' music, traditional Taíno and African dishes, artistic creations and distinct Afro-Caribbean culture. Further down the road in Río Grande, is the Berwind Country Club a golf course open to the public. Just beyond Berwind on the left is the entrance to the award-winning St. Regis Bahía Beach Resort and it's Robert Trent Jr. designed Bahía Beach Golf Club. Taking Route 3 and/or Route 66 east out of the San Juan Metro area instead of 187, you will reach Hipódromo Camarero, the only thoroughbred racetrack in Puerto Rico. For those with shopping on their minds, the Route 66 Outlet Mall is the largest shopping mall in the area. Both the racetrack and outlet mall are located in the town of Canóvanas. Next is the town of Río Grande, home to El Yunque National Rainforest, 28,000 acres of lush tropical forest, hiking trails, waterfalls and spectacular mountain vistas. Río Grande is a golf lovers' paradise with its championship golf courses like Coco Beach Golf Resort and many renowned beach resorts. The town of Luquillo is known for its beautiful Blue Flag designated beach and the popular kiosks located on Route 3 fronting the beach. The kiosks all serve Creole delicacies, fresh seafood, burgers, tacos etc. that are perfect with ice-cold beers; a great place to mingle with locals while enjoying the cool ocean breeze. We especially like "La Parrilla" restaurant, the food is fresh, expertly prepared and really good. 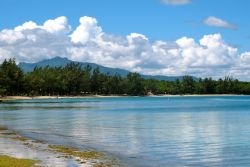 Fajardo bordering Luquillo to the east has become the boating capital of Puerto Rico, home to Puerto del Rey one of the best marinas in the region and 7 Seas Beach which is a great place for picnics and camping. The world-class El Conquistador resort offers a myriad of activities such as golf, a water park and Palomino, it's own private island. 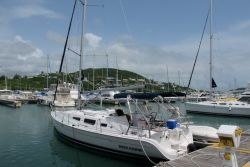 Fajardo is also the gateway to the islands of Vieques and Culebra. As noted above El Yunque is a subtropical rainforest the only one of its kind under the direction of the United States Forest Service. The name comes from a Taino word meaning "The Anvil" as there is a prominent and distinctive flat plateau within its 28,000 acres. There are 240 tree species in the forest, 88 which are unique to Puerto Rico and many only found in El Yunque. 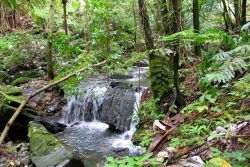 The forest is also the home to the elusive Puerto Rican Parrot and the coqui tree frog. This wondrous place is truly paradise on earth, with its many waterfalls, hiking trails, cool streams and majestic panoramic views. Please enjoy the 360° view images below.